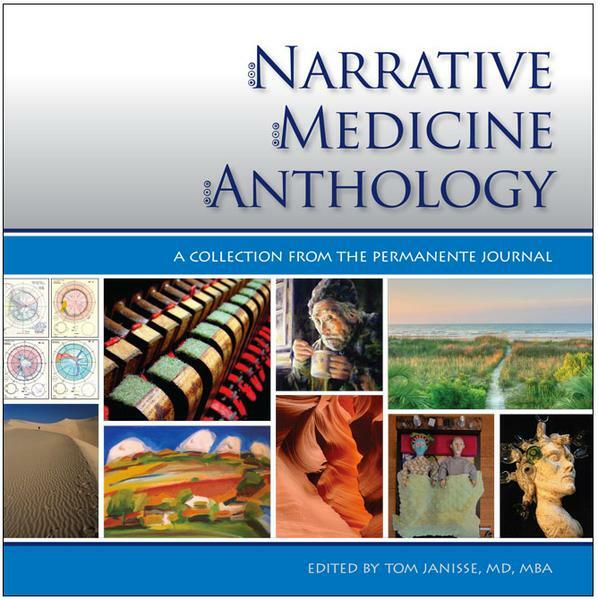 This anthology, collected from The Permanente Journal, presents several forms of narrative in medicine—essay, commentary, case study, journalism, stories, poems, journals, and research—that seek to make a point, explore the particular, gain perspective, or discover meaning in medicine more powerfully through relating a story than by exposition alone. Tom Janisse, MD, MBA, is the Publisher of The Permanente Press and Editor-in-Chief of The Permanente Journal. As a medical student learning about poetics, first from e. e. cummings, I continued to write through residency, fellowships and medical practice. Early on as a medical editor and publisher I began to see and appreciate the value of story and image in medicine—of people seeking counsel in dialogue with a physician or practitioner, and also for readers of clinical and research articles contextualized in narrative. These works represent a rich compilation of how story becomes primary in communication and relationship with other people. A section of the The Permanente Journal (TPJ ) called Narrative Medicine houses particular articles that are primarily narrative in nature. TPJ published these collected pieces in the ten years from 2003 to 2013, in the format of an international, peer-reviewed journal of medical science, social science in medicine, and medical humanities—circulated in print to 25,000 individuals quarterly. In 2015, TPJ content on PubMed recorded 1.4 million page views by visitors from 187 countries/territories. Author biographies on each article’s first page were current at the time of first publication, and although the biographies are often not current, they best represent the time, position, and place from which the work the authors created emanated. I hope that this compendium offers relevant matter for those interested in story in medicine but also for those who would study the evolution of story in medicine. Myrtle Beach Sunrise by John Davenport, MD —This photograph was taken at the house Dr Davenport and his family have rented each summer for almost 40 years. The modest house offers the serenity Dr Davenport tried to capture here. This photograph was taken with a Canon EOS xTi on July 4, 2010. Dr Davenport is the Director of Primary Care Services for Kaiser Permanente Orange County.